If we look back for a decade, the volume and size of the incoming technologies are seen as a difference between Earth and sky. But experts related to science and technology are still busy in the effort that somehow make modern appliances so short and easy to do so that they can be used as clothing clothes. Scientists researchers in the "Wearable" appliance department say that many such devices have come up in the market and are expected to be in the future to market the instruments that will change the style of human beings. Now facility such as smartphone, computer and Internet is almost anywhere in every region of the world. If seen today than half a century ago, it was impossible to imagine the Internet, the mobile, but today it is almost impossible to run business life without them. Seeing the rapid development in the field of technology, it seems that the devices we are using in remote areas will not be more important than the future generations of toys. Desktop computers were replaced by laptops, the laptops were replaced by a handheld tablet with a hand-held tablet. To find a way in an era, we were very careful about heavy maps, not only today the entire world is on our fingers, but we can see our own traffic directly on our mobile phone while we leave our home. This mobile phone fulfills the likelihood of reading your books and books, on the other hand the small mobile can also be broadcast live and broadcast on the globe on the other hand. However, in the coming years, we will be able to see and use all the things we are watching in movies. Here are some important events mentioned in the future. In 1953, Alk Schumber, artist of comic book, created a fantastic image for the science-cycle science science episode, in which a man tied a bed-bound machine with a waist and wearing helmet like helmet in the air. After this episode, the concept was presented in the film 'The Rocket', The Jet Sun 'and' Iron Man '. Man has always been wished to fly in the air like birds. To fulfill this desire, scientists may prepare a jet pack on the experimental stages, but there is a lot of improvement in it after the trial flight. For space navigation purposes, Jet Packs were being used in 1984, but now science has made a machine called hydrogen pack, which is being used instead of gas instead of gas propulsion. A few years ago, the Chief Executive Officer of the Jet Pack Aviation flew on the statue of America, after which ordinary people were offered to fly in the air for ten million dollars a minute. However, after the three-year period, sales of Jet Pack have not been started commercially yet. Experts say that the airplane says that if the Jet Pack reaches access to ordinary people, then in an atmosphere like earth, uninterrupted drivers will cause accidents in the air, because it is possible to control such a speed in the air. It will not be possible to protect the safety of aircraft flying aircraft around the world. However, some institutions are active in the preparation of jet packs on commercial basis and hopefully at least at the beginning of the new decade, people will be able to fly in air due to their personal jet packs. The concept of flying cars in the air is very old and science fiction films like Beck the Fifth, Blade Runner, Futureama, and the Fifty Elements have been made in the past, keeping the idea. Today, about 115 years ago, the world's first airplane flew, after which the airline was given a regularized industry and then the progress in this field introduced new ships, but still buying people For example. Like a personal car, air-freight vehicle was the next destination of pilot engineers, so that the journey could be made to travel by reducing the increasing traffic pressure in major cities. In 1926 Henry Ford, founder of car maker Ford, experimentally manufactured a set-in flight flying aircraft 'Skyflower', however, the ship later became a victim of experimental flight, resulting in a ride on it. Pilot was killed, the project was closed after the accident. Although Philouver was not a flying car, the subtle message presented it as a flying car, that soon the commercial production of this flying car will start and it will be taken care of as a personal car. Twelve years after the closure of the project, Henry Ford predicted in 1940, "Remember my words: A car made by a motorbike and a plane is coming soon, you guys hear it right now." Smiling, but it will be in the future. "Nine years after Henry's prophecy, an American aeronautical engineer, Molt Taylor, developed a vehicle named 'Aero Car'. After the experimental flight of the Aero Car, the US Department of Hoobazi also gave permission to prepare on its commercial basis, but despite scale-scale advertising, Taylor could not work on the production of this car on commercial basis. In the meantime, former engineer of Boeing, Boeing engineer Frederick Barker, founded a company named Flight Innovations In Corporation and started a feathered small ship named 'Sky Commutor'. The four-dimensional long-term experimental model of this ship's ship was sold at £ 86,000 in 2008, the selling company eBay was sold. Last year Canada's Macro Industries, a corporation, developed the experimental model of a flyer named 'Sky Rider X toe'. This company is committed to selling at Sky Sky's commercial base in 2019. The countries presented in the manufacturing process include the United States, Russia, Canada and China. Last year, the CIA airplane-based Chinese company, Tierra Fujia, announced the flight of 'transitions' in the two versions of the past two years. Chris Jones, the company's executive executive, says something like this: "In 2017 we have experienced experimental flights equipped with hazardous instruments, security systems, and are improving further. They say transitions will be offered for sale in the middle of 2019, when the famous taxi service Ober has also announced to launch a car carrying up to 2020. 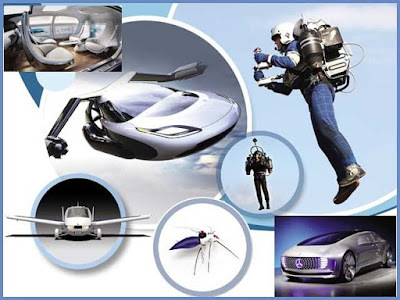 However, according to aerial experts, transitions or the most important problem in the Sky Riding Flying Car is to fill their flights and land, because they will need a lot of space like a ship for this work, but in the air on jet pack With the fly, the completion of the dream of driving in the atmosphere is not too far. The famous car maker BMW and IBM are actively engaged in the preparation of vehicle's tactics and mood tracking vehicles. About this, Klaus Fröhlich, a BMW's director, says, "We are working to develop a car with the help of auto-mobile and technology, being familiar with the habits and mood of our master as well as throughout our day. Will also count on the engagement. This car will not only monitor your activities but will also be able to give you advice on your artificial intelligence. Apart from this, the car will be completely self-sufficient. "The UK has become the world's first country without permission to bring unmanned robot vehicles to the streets. However, the decision will be taken from 2019. According to the statement issued by the British government, without driving the driver has been allowed to experimentally on the two-year roads. Germany is also ahead of the race for self-propelled vehicles, but the law does not allow forty-five vehicles to be run, but this year, the German law has a legitimate 4-degree car running after a modification in March. The car under which the car will operate automatically, but it must be a driver who can handle the car in an unusual situation, as well as to bring the automotive vehicles on the same condition in the United States. Allowed. However, on the basis of merit, there are still up to 3 degree vehicles, which include Tester S8 and Audi A8 for sale. As Mercedes Benz's experimental model is manufactured in the F015 and Audi 7 Salicon Valley. These cars can travel at a maximum of 125 miles per hour. According to experts, most accidents occur due to limited views, for instance, such as fog. In such a way, other cars traveling faster could not accommodate a proper distance. However, artificial intelligent robotic vehicles do not make such mistakes. In the future cars will exchange information among themselves, and the next car will be able to inform the following cars about traffic jam etc., as Google has been tested for its ready robotic vehicle for a long period of time. . However, so far a car is available in a car so that they can handle the control when needed. According to experts, auto-traveling cars are very safe, but they are not for unhealthy people. Google's autonomous car is capable of scanning the surroundings of its surroundings with a laser sensor. In addition, other sensors are also used in these vehicles. The automotive engine of Germany's Franphorph Institute for Communications and Information (FKIE), maintains its position through a USB Radar, a small radar and a Global Positioning System (GPS) sensor. The sensors in these cars collect information about a variety of things, in small cases or pixels. The computer assumes which part of the image that makes the pixels support the speed. This way the computer knows what's going on around the car. Researcher at a Institute of Massive Sciences (MIT) of the United States's prestigious Institute, Tie Lee and his team are working on such a few inventions. Lee is in the form of a battery that has a slim and long-running ability to fish. For this purpose, he has installed a special machine in the laboratory, which leads to the LIDs of heavy tubes like a thread. Tai war says that the dress made from this thread can be used in defense and industrial purposes, but it will be two to three years of time for sale on its commercial basis. Recently scientists have invented such robots that have the ability to pass through smooth and unusual ways to maintain their balance. These robots can be extremely useful for the care of the environment. However, America, China and Russia are engaged in the manufacture of nano robots, which is a worm in the tone, but the disaster caused as a big bomb. Light weight This nano robot is capable of destroying the whole building at a time. US scientist Cyruslie says that if robots' artificial intelligence is not effectively controlled, then the same robots will be dominant on human beings, which is a clear example of a competition which includes the technology company, a robot of IBM. Watson won the prize of $ 77,000 by defeating humans compared to intelligence. Experts say that in the near future Robots will have a chip installed on which the human brain's electrical operating system and its memory will be possible and it will not be ordinary robots but humans in the form of robots.